A Skelmersdale mum and her two children volunteer their services at a local Care Home during the snowy weather. 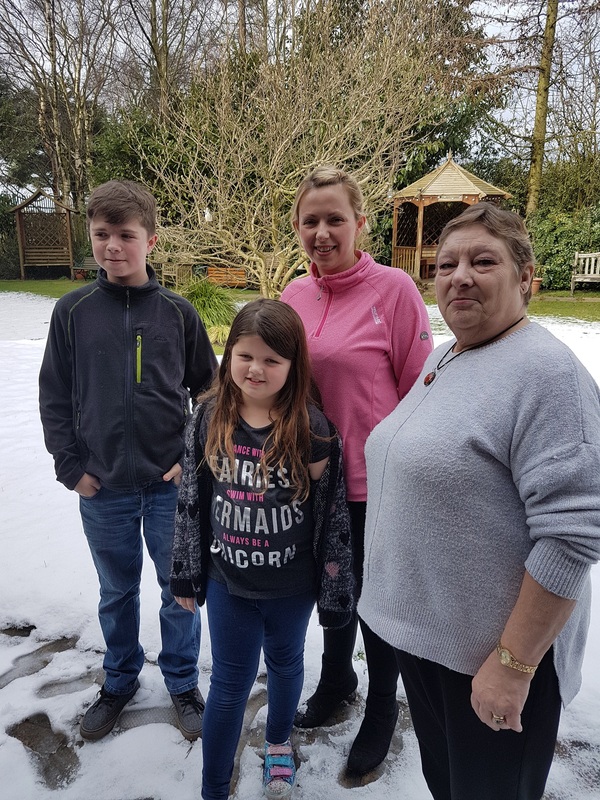 After the snow forced closures at several Skelmersdale schools on Thursday 8th March, a kind-hearted Skelmersdale family volunteered their service to local Care Home, Stocks Hall Skelmersdale. Joanne Wilde, Office Administrator at Westhead Lathom St James’ CE Primary School and her two children, Daisy, aged 7 and Dan, aged 13 who all live in Skelmersdale, approached the nearby Care Home to see if they could help in anyway. The charitable trio helped out serving lunches and provided companionship and laughter throughout the afternoon to those living at the Home.